The First Atmospheric River of the Season - Hi, friend Climate and Weather Information, in this article entitled The First Atmospheric River of the Season, we have prepared this article well and concise to be easy to understand for you to read and can be taken inside information. hopefully the contents of the post that we write this you can understand and useful. okay, happy reading. Some of the most important wintertime weather features of our region are the plumes of moisture that stream northeastward out of the tropics and subtropics. 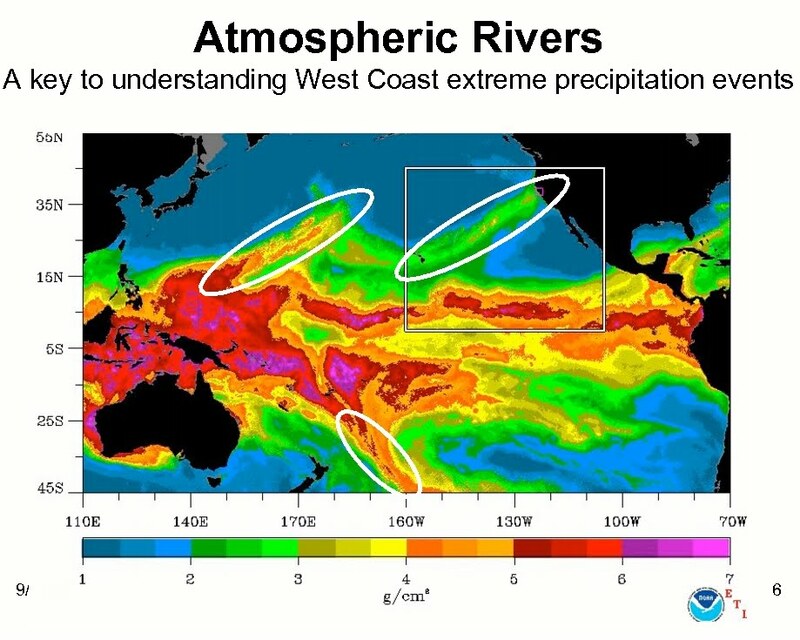 In the discipline these plumes are often called "atmospheric rivers" and the atmospheric river that is often discussed in the media is the "pineapple express." This weekend the first major atmospheric river of the season will strike our region, specifically central and northern Vancouver Island and adjacent portions of British Columbia. Here is a recent computer forecast of the amount of water vapor in the atmosphere (the fancy name is "column-integrated water vapor"--throw that around and you will impress your friends!) for 11 AM on Saturday. The blues are high values-see the atmospheric river? The plumes of atmospheric moisture associated with these rivers is usually associated with warm temperatures--in fact it HAS to be that way, because only warm air can hold large amounts of water vapor. When this warm juicy air strikes our mountains it is forced to rise--the result being large amounts of precipitation. Want to see what the models are going for? Here is the forecast 24-h rainfall ending 5 PM on Sunday. The reds are FIVE TO TEN INCHES OF RAIN! There is even a white area, where more than 10 inches is predicted. Fortunately for us, the U.S. side of the border will only get a weakened share of this wet bounty--after a generally dry Saturday the front that is associated with this precipitation will move through rapidly, with only modest showers over western Washington. Do we expect a lot of strong atmospheric rivers this year? Will one hit the weakened Howard Hanson Dam? What I can tell you is that the upcoming winter will be a La Nina period and generally the strongest atmospheric rivers and floods are during neutral years (neither La Nina or El Nino). So although we expect this fall and winter to be wetter than normal (due to La Nina), there is less chance for a mega-rain/flooding event. Yes, it could happen, but it is less likely. Thank You and Good article The First Atmospheric River of the Season this time, hopefully can benefit for you all. see you in other article postings.